Beat group The Fourmost followed their small hit "How Can I Tell Her" with a version of "Baby I Need Your Loving", the soul hit from earlier in 1964 by The Four Tops. Over the years this Motown song has been recorded by many groups and singers including The Supremes, Sandie Shaw and Johnny Rivers. 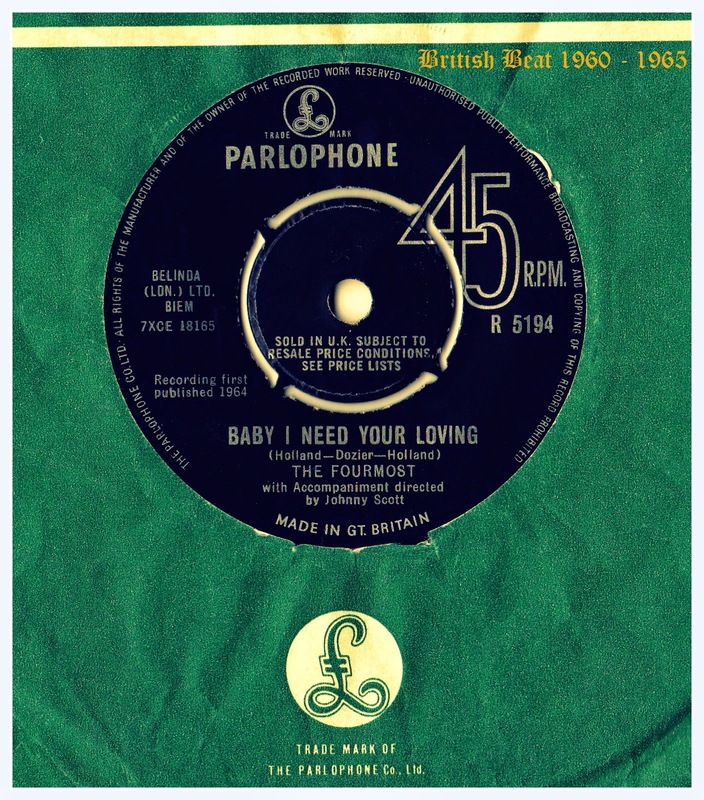 The Fourmost version reached #24 in the British Charts and an appearance of them performing the tune on "Ready Steady Go" is available to view on YouTube.